A good-looking office space can improve morale and productivity, according to the business site BNET. A new arrangement can make a space feel larger and more comfortable, depending on what you do. Proper preparation for rearranging your space will make the process go smoothly. Create a drawing or floor plan. Drawing your new office arrangement is a way to visualize the office’s appearance before you move anything. Use pen and paper or design software to create the new layout. Write down measurements of walls and doors so you know the newly arranged furniture will fit. Consider how the new arrangement will affect safety and security. The United States Department of Agriculture recommends arranging the office so people and information are more secure. 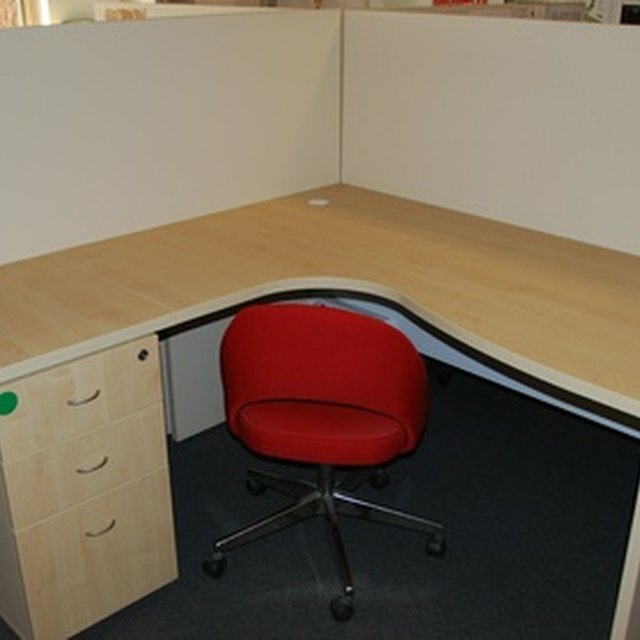 Arrange the desk and chair so you have a clear view of anyone who walks by. Move important items to secure areas. For example, move documents to a locked cabinet. Get help moving your furniture. Ask coworkers to help you move furniture if you’re not able to do it yourself. Contact the office building owners to see whether a maintenance crew member can provide help as well.